Prolific English Author Ruth Rendell, Baroness Rendell of Babergh, CBE, sadly passed away 2 May 2015. She was Born Ruth Barbara Grasemann on 17 February 1930, in South Woodford, London and was educated at the County High School for Girls in Loughton, Essex. After high school she became a feature writer for her local paper, the Chigwell Times. Even at an early age, making up stories was irresistible to Rendell. As a reporter, she visited a house that was rumoured to be haunted and invented the ghost of an old woman. The owners threatened to sue the newspaper for devaluing their home. Later, she reported on the local tennis club’s annual dinner without attending, so missing the untimely death of the after-dinner speaker in mid-speech. She resigned before she could be fired. Rendell met her husband, Don Rendell when she was working as a newswriter. They married when she was 20, and had a son, Simon, now a psychiatric social worker who lives in Colorado. The couple divorced in 1975, but remarried two years later. Rendell is known best for writing gripping Psychological Murder Mysteries and her best Known creation, Chief Inspector Wexford, is the hero of many popular police stories. Rendell started her career when she wrote two unpublished novels before finally striking lucky with the 1964 publication of From Doon With Death, which was the first mystery to feature her enduring and popular detective Chief Inspector Reginald Wexford, who is featured in From Doon with Death, a New Lease of Death, Murder being once done, Put on by Cunning, an Unkindness of Ravens, Road Rage, Adam &Eve & Pinch Me and The Monster in the Box. some of her novels have also been adapted for TV. Rendell created a third strand of writing written under her pseudonym Barbara Vine, (the name derives from her own middle name and her grandmother’s maiden name), with the publication of A Dark-Adapted Eye, King Solomon’s Carpet, A Fatal Inversion and Asta’s Book (alternative US title, Anna’s Book), among others, these are similar to her psychological crime novels while further developing themes of human misunderstandings and the unintended consequences of family secrets and hidden crimes. The author is also noted for her elegant prose and sharp insights into the human mind, as well as her cogent plots and characters. 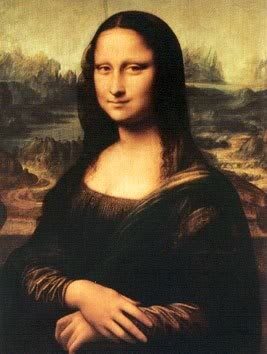 Leonardo Da Vinci was Born out of wedlock to a notary, Piero da Vinci, and a peasant woman, Caterina, at Vinci in the region of Florence, Leonardo was educated in the studio of the renowned Florentine painter, Verrocchio. Much of his earlier working life was spent in the service of Ludovico il Moro in Milan. He later worked in Rome, Bologna and Venice, and he spent his last years in France at the home awarded him by Francis I. Leonardo was and is renowned primarily as a painter. Among his works, the Mona Lisa is the most famous and most parodied portrait and The Last Supper the most reproduced religious painting of all time, with their fame approached only by Michelangelo’s The Creation of Adam. 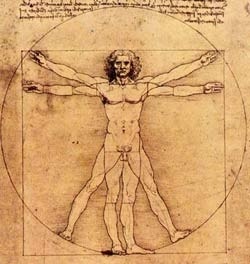 Leonardo’s drawing of the Vitruvian Man is also regarded as a cultural icon, being reproduced on items as varied as the euro, textbooks, and T-shirts.Perhaps fifteen of his paintings survive, the small number because of his constant, and frequently disastrous, experimentation with new techniques, and his chronic procrastination. Nevertheless, these few works, together with his notebooks, which contain drawings, scientific diagrams, and his thoughts on the nature of painting, compose a contribution to later generations of artists only rivalled by that of his contemporary, Michelangelo. Leonardo was also revered for his technological ingenuity. He conceptualised a helicopter, a tank, concentrated solar power, a calculator, the double hull, and he outlined a rudimentary theory of plate tectonics. Relatively few of his designs were constructed or were even feasible during his lifetime, but some of his smaller inventions, such as an automated bobbin winder and a machine for testing the tensile strength of wire, entered the world of manufacturing unheralded. He also made many important discoveries in anatomy, civil engineering, optics, and hydrodynamics and his legacy can still be felt today. By the 1980s, Humperdinck continued recording albums regularly and performing as many as 200 concerts a year, and in 1989 Humperdinck was awarded a star on the Hollywood Walk of Fame and won a Golden Globe Award as entertainer of the year, while also beginning major involvement in charitable causes such as the Leukemia Research Fund, the American Red Cross, the American Lung Association, and several AIDS relief organisations. He remains popular to this day. In 2012 Humperdinck represented the United Kingdom in the final of the Eurovision Song Contest 2012, in Baku, Azerbaijan, singing a track called, “Love Will Set You Free. Best known for the humorous travelogue Three Men in a Boat, the English Writer and Humourist Jerome K Jerome, was born 2nd May 1859 in Caldmore, Walsall, England, and moved to London, where He attended St Marylebone Grammar School. 14 June 1927). The young Jerome wished to go into politics or be a man of letters, but the death of his father at age 13, and his mother at age 15, forced him to quit his studies and find work to support himself. He was employed at the London and North Western Railway, initially collecting coal that fell along the railway, and remained there for four years. In 1877, inspired by his older sister Blandina’s love for the theatre, Jerome decided to try his hand at acting, under the stage name Harold Crichton. He joined a repertory troupe that produced plays on a shoestring budget, Jerome was penniless at the time. After three years on the road and with no evident success, the 21-year-old Jerome decided he’d had enough with stage life, and tried to become a journalist, writing essays, satires and short stories, but most of these were rejected. Over the next few years he was a school teacher, a packer, and a solicitor’s clerk. Finally, in 1885, he had some success with On the Stage — and Off, a comic memoir of his experiences with the acting troupe. Idle Thoughts of an Idle Fellow, a collection of humorous essays, followed in 1886. On 21 June 1888, Jerome married Georgina Elizabeth Henrietta Stanley Marris (a.k.a. Ettie), nine days after she had divorced her first husband. She had a daughter from her previous, five-year marriage, nicknamed Elsie (her actual name was also Georgina). The honeymoon took place on the Thames “in a little boat,” a fact which was to have a significant influence on his next, and most important work, Three Men in a Boat.